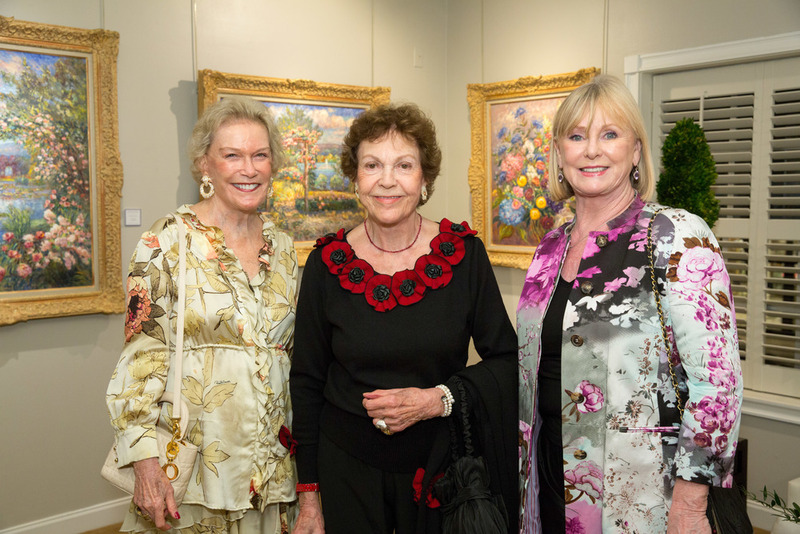 The lovely Terrace of the Wally Findlay Galleries in Palm Beach was the site of American Friends of Blérancourt's sold-out Gala dinner of 120 people on March 7th, 2016 thanks to the generosity of James Borynack. It featured the floral paintings of French artist Isabelle de Ganay, plus a slide show of Anne Morgan's photos of Blérancourt during the First World War and AFB's seasonal gardens. Guests included members of several royal families, other Palm Beach icons, AFB Board members and friends, as well as Miami's French Consul General Philippe Létrillart and his wife.